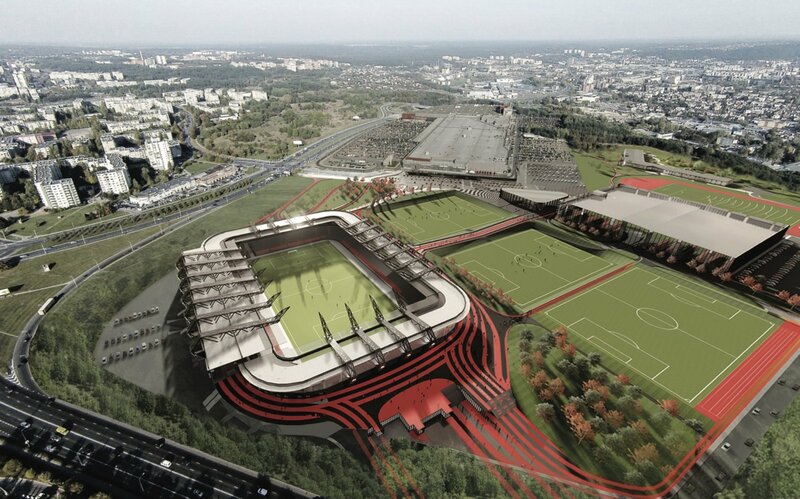 The vision by Axis Engineering-led consortium would see a brand new national stadium of Lithuania built just over 100 meters west from the unfinished old one. Its ruins would be torn down and replaced by one of three full-sized football fields. Main stadium for 15,000 people would possibly offer double-tiered stands, even if only the west grandstand would be of significant size. 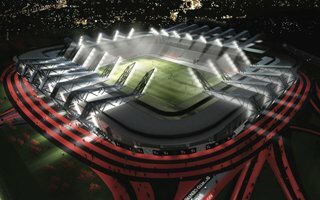 Its outer form would be defined by strong cantilever structures supporting the roof and extending to hold floodlights. It is expected to build a kindergarten accommodating 300 children, with its building area reaching 3,700 m2, including a 2,300 m2 outdoor territory. The building will cost €3.6 million. A 56,000 sq. m. structure will be dedicated to informal education activities. 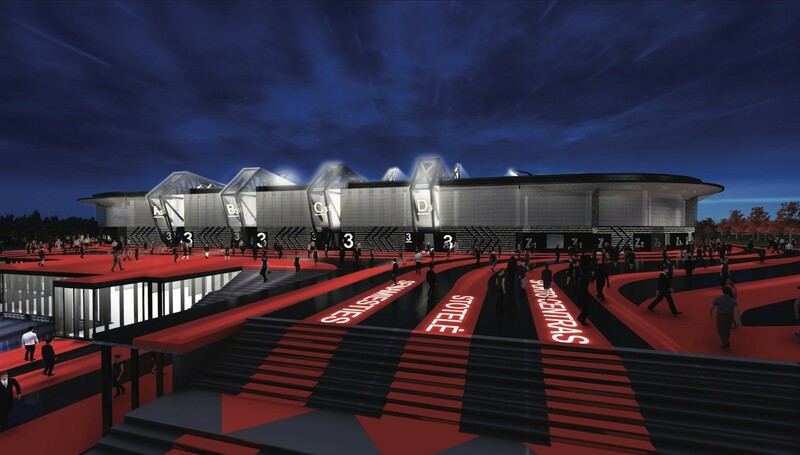 It will house 6 basketball courts, the handball and indoor football courts with the total area of 7,000 m2. It will feature a 1,700 m2 artistic and aerobic gymnastics facility and a 500 m2 boxing, wrestling and physical training area. This building will also have a 1,100 m2 administrative premises. The Centre for Culture and Education and a library, taking up to 1,600 m2, are also part of the design plan, including construction of the conference halls that will accommodate approx. 1,500 participants. The construction of this object will cost some €4.6 million. 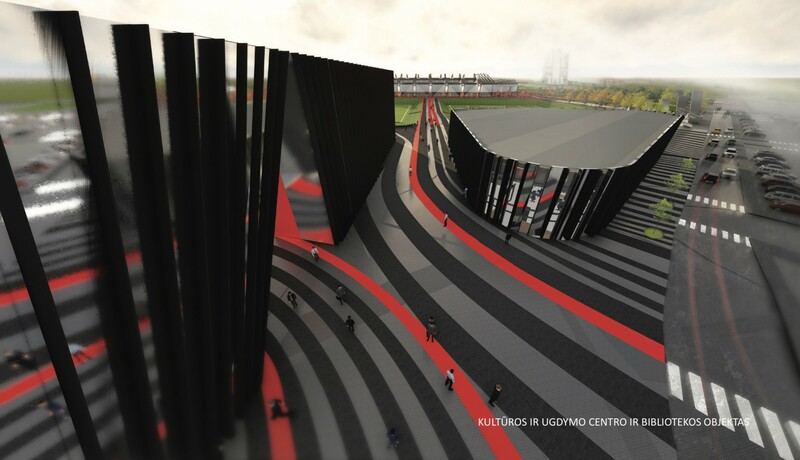 The National Sports Museum with an area of 1,500 m2 will feature 10 halls, and will cost €4.2 million. 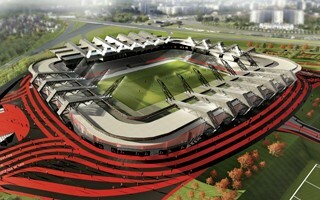 Total price for the entire complex is estimated to be €79.9 million, of which the stadium itself would be €33.8 million. 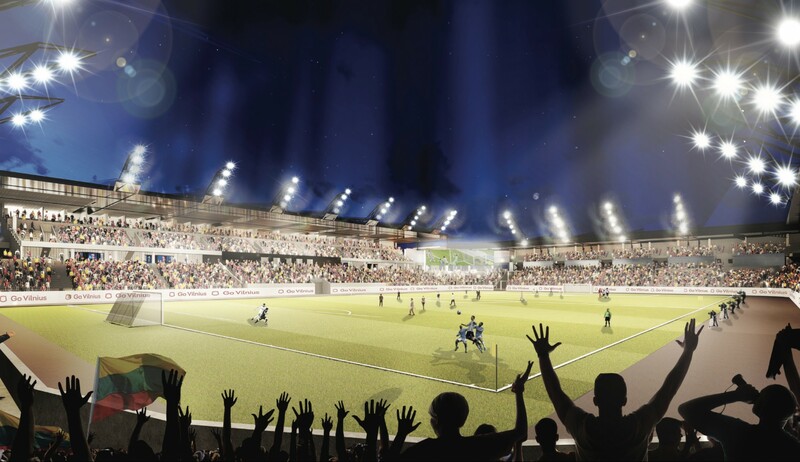 The consortium, including also Populous, Cloud architektai, Kauno Arena and Venetus Capital would create the design, build and then operate all of the project for 22 years as part of this public-private partnership. 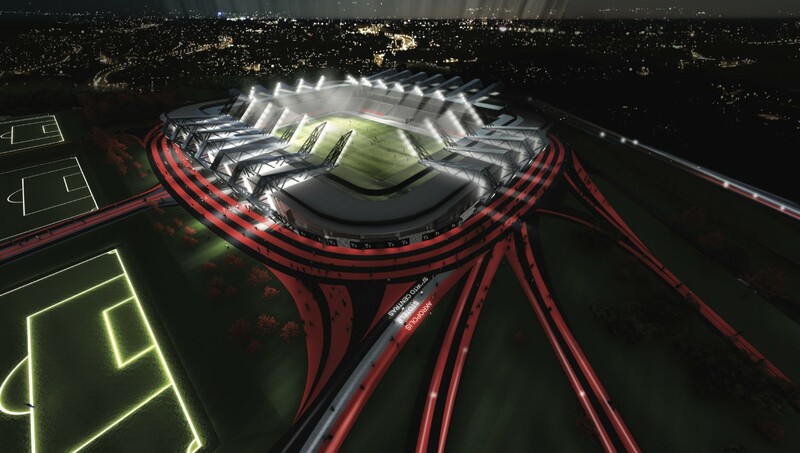 05.06.2018 Vilnius: Finally, green light for national stadium? After years and years of no progress, it seems the hardest part is done and public-private partnership can be sealed. 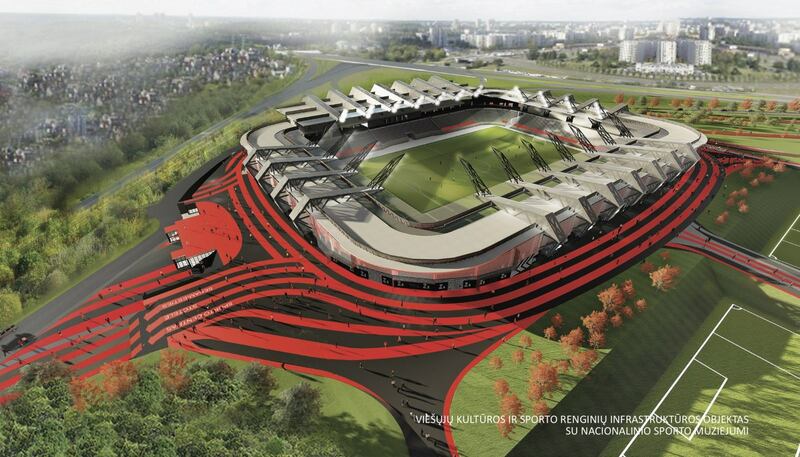 Government of Lithuania and mayor of Vilnius agreed on funding for the new national sports complex. Construction may begin in late 2019 or 2020.